In 1991 45.24% of Graduate students were female; by 2018 the number had increased to 56.17%. Looking at Masters students, back in 1991 51.16% were female ... in 2018 60.75% were female. 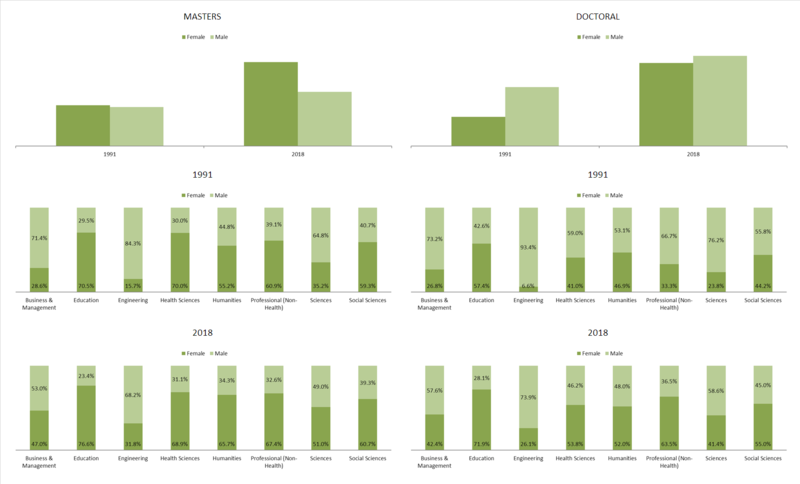 At the Doctoral level, back in 1991 33.17% were female ... in 2018 47.97% were female.